Small kitchens are usually more efficient work spaces than large ones. Space and good design aren’t exclusive to a large kitchen, all you need are some good small kitchen decorating ideas that keep your small space organized, functional and beautiful. We’ve put together some small-kitchen decorating ideas that tackle the following issues with good design solutions. Nothing makes a room seem larger like simple white walls, so why not take it further with sleek, contemporary details that open up the space. 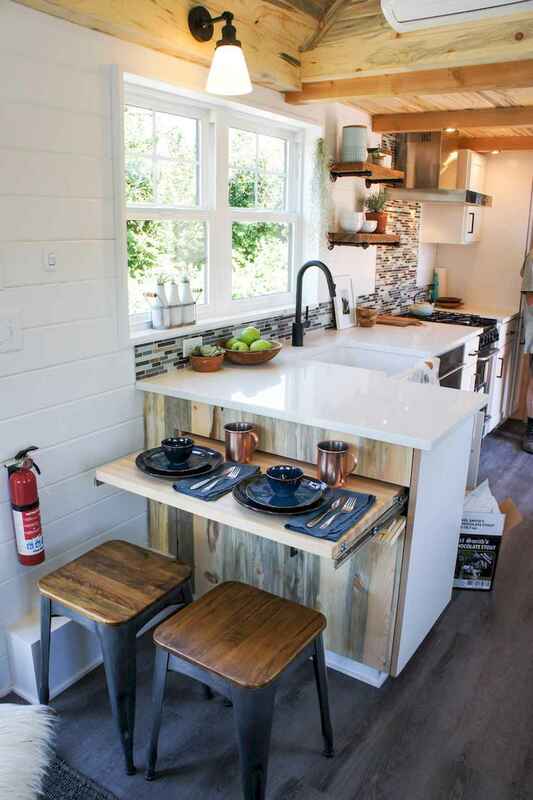 Here are 50 small kitchen ideas and designs. Enjoy and get inspired!